The word special, it used to mean something; you would expect something other than the norm. 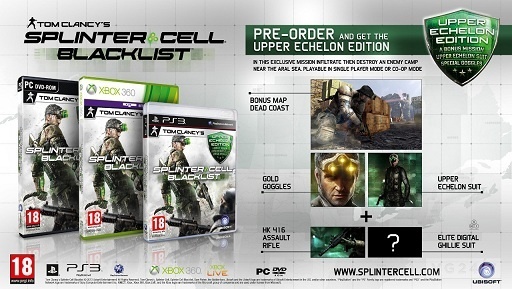 How many Special Editions does one game need for them no longer to be special? 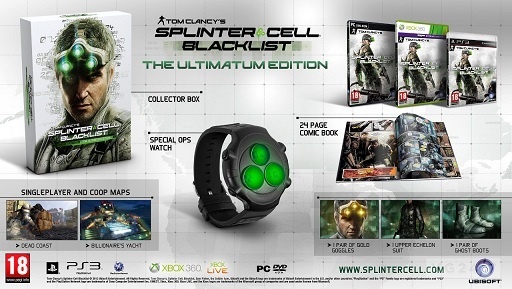 Splinter Cell: Blacklist is taking on this challenge with the details of four new Special Editions that will be spread across the retailers of the world. Remember the Paladin Edition of Blacklist, the one with the remote control plane? 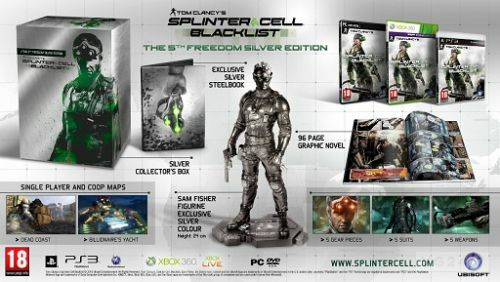 Well, it appears that it’s just was not special enough for Ubisoft as they have announced four additional editions; The 5th Freedom Edition, The 5th Freedom Silver Edition, The Ultimatum Edition and Upper Echelon Day 1 Edition. These names are getting as confusing as the Bourne films. Page created in 0.4370 seconds.